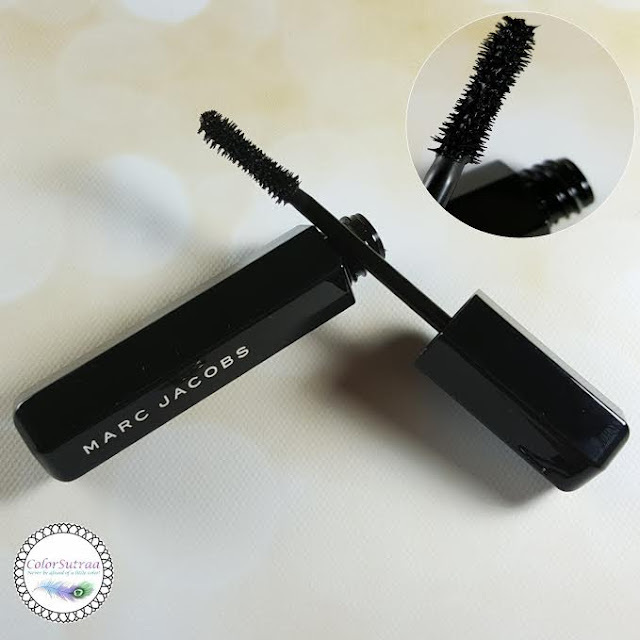 MARC JACOBS Velvet Noir Mascara : Is it worth the price? Hi there, my darlings! 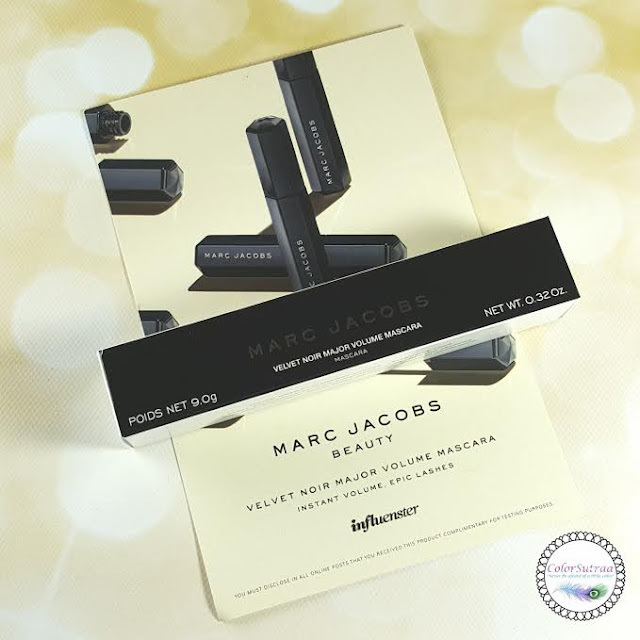 A couple of weeks ago, I was thrilled to find out that I was chosen by Influenster to receive their Marc Jacobs Beauty VoxBox. 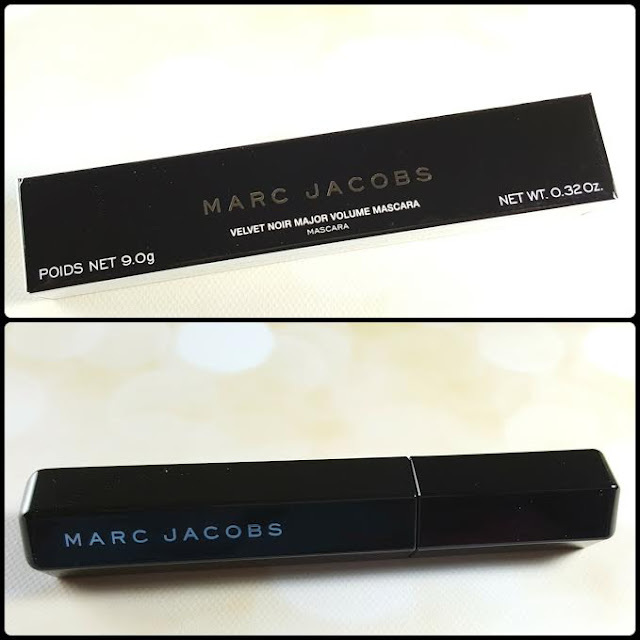 I'm a huge fan of Marc Jacobs' fragrances so I was super excited to test out their new Velvet Noir mascara. They send out products in what they've coined their Voxboxes--members of the Influenster community are invited to surveys and, based on their preferences, are sent various products to review. Being all about beauty products, I'm often really happy when I get to review the beauty-related VoxBoxes, especially fabulous brands like Marc Jacobs! Experience 1800% more volume and the look of false lashes. The lash-maximizing, curvy brush places the most volume at the hard-to-reach center lash line, and the defining tip styles lashes for major drama. The ultra-concentrated black pigment delivers the greatest visual impact, and the flash volume complextm creates instant, smudge-free length and volume in three strokes or less. Velvet Noir Major Volume Mascara gives you the thickest lashes in a blink. 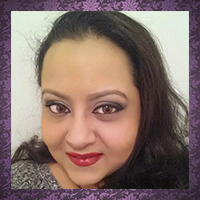 IMPRESSIONS : Volume is what I look for foremost in my mascaras, whether they're drugstore or high-end. This mascara is supposed to be all about the volume and boy! Does it deliver! The formula is quite thick and really coats your lashes from end to end, giving them tons of volume and quite a bit of length too. Despite being such a thick formula, once applied, it sits quite easily on the lashes--I wore this all day long and didn't get that irritated, weighed-down feeling that a lot of heavy mascaras leave you with. There are only two drawbacks I can think of. One, this mascara doesn't help with curling at all and to be fair, it doesn't claim to. So, make sure you curl your lashes BEFORE you apply this mascara. Two, it is a thicker formula and it does have a tendency to clump. You just have to be careful how you apply and really brush the mascara through your lashes. Quick tip : use a clean, disposable wand immediately after to get rid of any unwanted clumps. Overall, if volume is what you're looking, this product definitely delivers. Big thumbs up from me! So there you have it, my darlings! If you would like to pick up the Velvet Noir mascara for yourself or a loved one, you can find it on Marc Jacobs' website HERE for the price of $26.00. Well worth the price tag if volume is your prime requirement! It's been fun to read the different reviews about the new MJ mascara. With two coats (that I always do anyway), your lashes look fabulous! 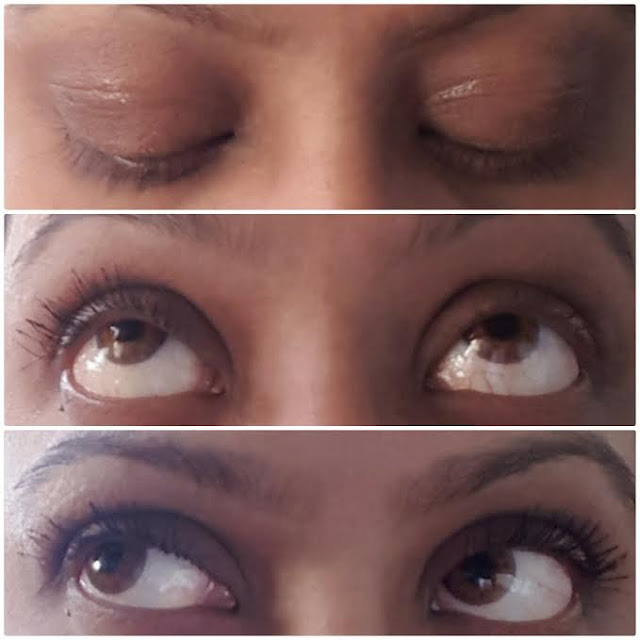 Your lashes look absolutely fantastic! What a great volumizing mascara! I just love this mascara!!! It's definitely one of my favorites! You got a Mark Jacobs product and I'm getting a deodorant. Not fair! LOL. I think it's interesting to see the mascara on different people's lashes. This looks a little clumpy on you but definitely gives you more lush lashes. You have lovely, voluminous lashes! I totally want to try this out. This looks great on you! I'm all about the biggest lashes possible. I wanted to love this soooo badly - but my lashes are thick and fairly dense, so it clumped too easily on me :( You got great results though! Wow this mascara really made a difference!